Arizona: You've gotta be kidding me. Scratch another CO-OP off the list. Two Arizona health insurance companies have been placed under supervision by the Arizona Director of Insurance, Andy Tobin. Director Tobin filed an Order for Supervision on October 30, 2015, to place Meritus Health Partners and Meritus Mutual Health Partners into supervision. Meritus declined to consent to the Order for Supervision. The Meritus companies’ ability to write new policies or renew existing policies is suspended. The Centers for Medicare and Medicaid Services has removed the Meritus plans from the Marketplace. Director Tobin, appointed as Supervisor under Arizona law, will oversee the two companies. Read more about Arizona: You've gotta be kidding me. Scratch another CO-OP off the list. 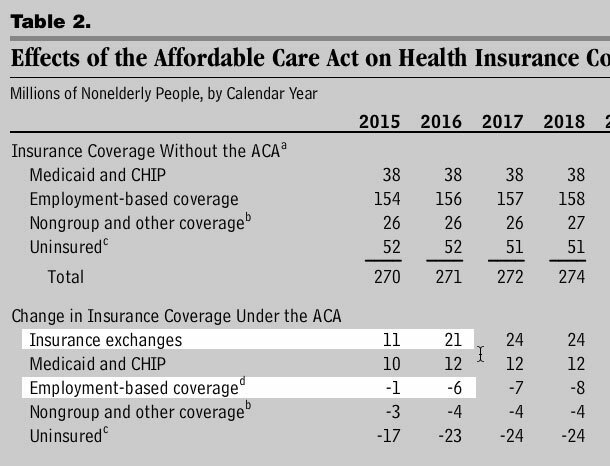 NOTE: True Healthcare Data Nerds who want to see the details on every 2016 HC.gov policy should skip to the end of this entry. More than 8 in 10 (86 percent) current Marketplace enrollees can find a lower premium plan in the same metal level before tax credits by returning to the Marketplace to shop for coverage. If all consumers switched from their current plan to the lowest-cost premium plan in the same metal level, the total savings would be $4.5 billion. In 2015, nearly one-third of consumers who reenrolled in a Marketplace plan switched to a new plan. New Jersey: Some more *GOOD* CO-OP news! Last week, in light of the #RiskCorridorMassacre debacle, I tried to find some good news on the CO-OP front, and while I didn't find much to cheer about, there were some bright spots in Maine/New Hampshire (where one CO-OP actually turned a profit last year), along with Illinois, Montana, Idaho, Ohio and Wisconsin (where the CO-OPs are still losing money, but seem to have staunched the blood flow and claim to be stable now, to put it in medical terms). During the past month, five health insurance co-ops across the country have announced they are shutting down at the end of this year. Health policy analysts are predicting more closures, but Health Republic of New Jersey probably won’t be one of them. Read more about New Jersey: Some more *GOOD* CO-OP news! HealthCare.gov is going to see some shrinkage in 2016. The number of health insurance plans available on that huge federal Obamacare marketplace for 2016 is decreasing by up to 12 percent compared with this year, industry sources told CNBC. And there will be an even sharper reduction — of more than 40 percent — in the number of health plans on HealthCare.gov known as PPO plans, which offer customers the most flexibility in where they can get medical services covered by their insurer, sources said. At the same time, there will be a marked increase in the number of so-called HMO plans, which do not as a rule cover costs incurred by customers outside of the plan's network of health providers. The decreases on HealthCare.gov — which serves residents of 37 states — come a year after federal officials boasted about a 25 percent increase in the number of insurers offering plans for 2015. UPDATE x4: 8 State Exchanges: Enrollment *up* 2.7%! 4 Insurance Companies: Enrollment *down* 8.3%! As regular readers know, I've been trying to figure out whether effectuated ACA exchange enrollments have dropped noticably since the second quarter or not. Since last November, the HHS Dept. has been projecting that the effectuated number will be down to 9.1 million enrollees by December from 9.95 milliion as of the end of June. Read more about UPDATE x4: 8 State Exchanges: Enrollment *up* 2.7%! 4 Insurance Companies: Enrollment *down* 8.3%! … proved to be worth perhaps three minutes of total airtime and discussion out of nearly four hours of Republican Party Presidential debate. The 8 Most Important Pieces of Advice I Can Give For 2016 Open Enrollment. Earlier today, the HHS Dept. released an in-depth analysis of the coverage decisions made for by the 4.8 million people who were still enrolled in HealthCare.Gov policies at the end of 2014 who went on to either renew their policies or switch to a different one for 2015 (note that the analysis only covers the 35 states run via HC.gov in both years. Oregon and Nevada ran their own ill-fated exchanges in 2014 and Idaho moved onto their own exchange in 2015, so these 3 states aren't included. Hawaii is moving to HC.gov for 2016 but was on it's own for both 2014 and 2015). Read more about The 8 Most Important Pieces of Advice I Can Give For 2016 Open Enrollment. The HHS Dept's official exchange enrollment projection for the end of 2015 has always been that they expect roughly 9.1 million people to still be enrolled as of December (of which perhaps 8 million will renew their coverage for next year). If accurate, this would represent an 8.5% drop from the 9.95 million enrolled at the end of June. The House Committee on Energy and Commerce will hold a hearing on the Affordable Care Act's health co-op program in the wake of a string of collapses of consumer operated and oriented plans around the country, two sources familiar with the matter told SNL on Oct. 27. Thanks to Esteban B in the comments for the reminder. This morning I noted a New York Times article regarding a whole bunch of ACA exchange enrollees who either forgot to/didn't realize they had to file a federal tax return in order to keep receiving their Advance Premium Tax Credits or who did file their taxes but forgot to include the subsidy reconciliation form when doing so. At the time, I was so astonished at the idea that people who are receiving federal tax credits would not only not realize that they had to file a return, but would actually get angry when informed that they had to do so, that I completely missed out on the larger implications. HealthCare.Gov still has a few issues. Here's a 30-second fix for one of them. Late last night I posted a quick walk-thru of the all-new 2016 HealthCare.Gov Window Shopping tool. For the most part, it's a major improvement over the 2015 version (which itself was, of course, a massive improvement over the buggy, 78-screen original version launched for 2014 open enrollment). However, there are a few improvements which can always be made, and for me, one of the biggest ones is right at the beginning. Immediately after entering your Zip Code, the very first question which pops up is "Are you enrolled in a 2015 Marketplace health plan?" It asks you to enter your current 14-character Plan ID. Read more about HealthCare.Gov still has a few issues. Here's a 30-second fix for one of them. SHOCKER: People who receive federal tax credits have to file federal tax returns! In July, the Internal Revenue Service said 710,000 people who had received subsidies under the Affordable Care Act had not filed tax returns and had not requested more time to do so. If those people do not return to the marketplace this fall, they may be automatically re-enrolled in the same or similar health plans at full price. And when they receive an invoice from the insurance company next year, they may be shocked to see that their subsidies have been cut to zero. Erin M. Lackey, 41, of Jacksonville, Vt., was one of many people who received letters from the I.R.S. saying they were at risk of losing their tax credits. Her mother, Ruth J. O’Hearn, a nurse who helps her daughter with insurance matters, described her own reaction. Read more about SHOCKER: People who receive federal tax credits have to file federal tax returns! HealthCare.Gov: 2016 Window Shopping Now Open! Read more about HealthCare.Gov: 2016 Window Shopping Now Open! Todays' Wall Street Journal featured an editorial (I assume it's from the entire WSJ board, as there's no author listed) trashing the Affordable Care Act, entitled The Decline of ObamaCare: Fewer enrollees and rising loss ratios will force a rewrite in 2017. Now, all four of these attacks are partially valid. Yes, enrollment in private Qualified Health Plans via the ACA exchanges is definitely below expectations. Yes, the risk pool is skewing older than expected. Yes, (full price) premiums (to some degree) and (full price) deductibles (definitely) are a serious issue this year. And yes, some insurers did take a bath and even go belly up due to the first-year premium "blind dart throwing" (especially 9 ill-fated CO-OPs, along with at least one private insurer in Wyoming). I'm not going to criticize the WSJ for several of their attacks; some are valid and some are outside my area of expertise. HOWEVER, I've found a couple of serious problems with the piece regarding the first bullet point. I've held off posting an estimate of the weighted average rate increase for the final state on my list, Wisconsin, until now because there's a major gap in the data which likely makes my estimate off by quite a bit. However, given that open enrollment is coming up a week from today, "window shopping" on HealthCare.gov is (supposedly) going live at any minute and the fact that with 49 other states (+DC) already included, I finally decided to go ahead and post this, along with a major caveat warning. As y ou can see from the table below, there are two issues here. The first is a minor one: I have no idea what the rate change request from the Common Ground CO-OP is, except that it's under 10%. I also don't know exactly what Common Ground's enrollment figure is, other than "between 30,000-40,000" according to this article from February. With all the bad news about the Colorado Dept. of Insurance pulling the plug on CO HealthOP a week or so ago, here's some (relatively) good news out of the Centennial State (and yes, I had to look that up to find out what Colorado's nickname is). Colorado was one of the first states I included in my 2016 Weighted Average Rate Hike Project. At the time, I only had requested rate changes available, and was missing the requests and/or actual enrollment numbers for several insurance carriers. As a result, my estimate of the average requested rate hike came in at 13.1%, but was pretty fuzzy. UPDATED: MITT ROMNEY FINALLY ADMITS ACA HELPS LOTS OF PEOPLE. Thomas G. Stemberg, who cofounded Staples Inc. and invented the office superstore, died Friday at his home in Chestnut Hill, two years after he was diagnosed with gastric cancer. He was 66. ...With the backing of Bain Capital and its cofounder Mitt Romney, the first Staples store opened in Brighton in 1986. Growing rapidly, Staples took the top spot on the Globe’s 1991 list of the 50 fastest-growing companies in the state, with a sales growth rate of 83 percent. Today Staples is worth more than $8 billion. ...Romney also credited Mr. Stemberg with persuading him to push for health care reform in Massachusetts when he was governor. Read more about UPDATED: MITT ROMNEY FINALLY ADMITS ACA HELPS LOTS OF PEOPLE. As I noted a couple of weeks ago, for 2016 HealthCare.Gov has added several very welcome new features. Early window shopping at HC.gov will be starting later than expected this year due to some last-minute technical issues with two of the new tools, but it looks like they're going to resolve this by simply delaying the launch of some of them as necessary in order to bring the ones which are ready live. The following press release just showed up in my in box; assuming the listed improvements all work properly (! ), all of these should be incredibly helpful in both streamlining and (hopefully) increasing enrollment for #OE3. UPDATE: Also, I've received confirmation from HHS Spokesman Aaron Albright that yes, Window Shopping at HealthCare.Gov will launch on Sunday, October 25th. New York: 2016 OE3 Window Shopping now Live! Read more about New York: 2016 OE3 Window Shopping now Live! I admit that given the carnage of the past couple of weeks, I'm almost afraid to post this entry...but I had to write something positive about the CO-OP situation. With the ACA-created CO-OPs seemingly dropping like flies due to the #RiskCorridorMassacre, I thought this would be a good time to flip things around and look at which CO-OPs are doing well (or at least not badly). Wisconsin's insurance department says it has no intention of shutting down its #ACA co-op, which appears it will remain solvent next year. @charles_gaba and at this point, other than Maine, it's difficult to expect many others will last beyond risk corridors. The Washington Health Benefit Exchange, which operates the state’s insurance marketplace,Washington Healthplanfinder, today announced over 1.5 million Washingtonians accessed health coverage through wahealthplanfinder.org from Oct. 1, 2014 through Sept. 30, 2015. The announcement was part of a new Health Coverage Enrollment Report that includes an updated enrollment total of 152,517 individuals in private health plans – called Qualified Health Plans (QHPs) – as well as executed enrollment for more than 1.4 million Washington Apple Health (Medicaid) eligible enrollees. SACRAMENTO — With new research showing that many uninsured consumers who can benefit most still do not understand they can get financial help to buy health insurance, Covered California announced on Thursday that it will launch its third open-enrollment period Nov. 1 by spotlighting basic information about health insurance offerings, enrollment and care. Just a quickie: Among the many, many attacks on the ACA over the past 6 years, one which never really took hold was the claim that the ACA would make things so cumbersome and unpleasant for physicians that it would cause a massive shortage of doctors to handle the burden (of course, the fact that the "burden" would consist of "millions of people receiving healthcare for the first time in years or decades" always seemed to be left out). There’s unprecedented interest in becoming a doctor as applications to U.S. medical schools hit an all-time high this year of more than 52,000, according to the Association of American Medical Colleges. The association, which represents all 144 accredited U.S. medical schools and nearly 400 teaching hospitals,said the 52,550 total applications this year were up 6.2% from 49,480 in 2014. ~67,000 need to find new 2016 coverage, SC DOI tells me. CCHP is the ninth co-op to announce closure so far. COLUMBIA, SC – Consumers’ Choice Health Insurance Company (Consumers’ Choice) has agreed to a voluntary run-off and will not offer health insurance coverage in 2016. “This was a difficult decision for the insurer and this agency, but this is what is in the best interests of South Carolina consumers and health care providers,” said Ray Farmer, Director of the South Carolina Department of Insurance. “The recent announcement of a risk corridor reimbursement of just 12.6% cast doubt on the collectability of tens of millions of dollars through the federal risk corridor program and led to an unavoidable outcome,” said Jerry Burgess, President and CEO of Consumers’ Choice. Read more about Heritage Fdn. claims only 3% of Obamacare newly-insured is from private policies; actually over 30%. Nick Bagley, a University of Michigan law professor, said it's not an "earth shattering surprise" that the court is allowing part of the lawsuit to go forward. But the judge also opened a pathway to the part of the lawsuit that could be most damaging to the law, he said. "Holding that the administration lacks the authority to cover the cost of those reductions would create a real mess on the ground," Bagley said. "It inserts the court into the middle of a political food fight," he said. Read more about Like the villian in horror movie sequels, King v. Burwell simply refuses to die. Colorado: 2016 Open Enrollment Window Shopping Now Live! Read more about Colorado: 2016 Open Enrollment Window Shopping Now Live! UPDATE: Have QHP enrollments have INCREASED since June? Rep. Rusche asked what our target enrollment is for this cycle and what barriers we see in making those targets. Mr. Kelly said the team is focused on the 80% goal of 92,000 as our enrollment target.Premium increases are a potential barrier. Net premium is a relatively small increase for most consumers, and each consumer will experience something different depending Page 5 of 14 on their plan, their location, their carrier, etc. We feel that while the premiums are increasing the relatively small net premium increase will mitigate this barrier to a large degree. We currently have 86,659 effectuated enrollments with Your Health Idaho, as of September 15. The 92,000 would also refer to effectuated enrollments. Read more about UPDATE: Have QHP enrollments have INCREASED since June? Last week I noted that AccessHealthCT, the Connecticut ACA exchange, reported that as of October 1st, they had exactly 95,601 people enrolled in effectuated exchange policies. Connecticut has its lowest percentage of people without health care coverage ever, according to Lt. Gov. Nancy Wyman and Access Health CT.
Access Health, the state's Obamacare exchange, said 3.8 percent of Connecticut residents, or 137,000 people, are without any form of health insurance. The U.S. Census reported in September that the number of uninsured Connecticut residents fell sharply in 2014, by 85,000 to 245,000, or 6.9 percent. That was down from 9.4 percent in 2013. The Census number is the lowest figure it has reported in at least 20 years, and Access Health said its number — determined through an analysis of 2015 coverage by Acturus of Farmington — is an all-time low. But 10 months after the first phase of the mandate took effect, covering companies with 100 or more workers, many business owners say they are finding very few employees willing to buy the health insurance that they are now compelled to offer. The trend is especially pronounced among smaller and midsize businesses in fields filled with low-wage hourly workers, like restaurants, retailing and hospitality. [GOP critics] neglect to mention that the nonprofit plans, known as health insurance cooperatives, were created as a weak, underfunded alternative to a much stronger option that the Republicans blocked from passage. ...Their problems have been attributed to wrong estimates for how many people might enroll and to setting premiums too low to cover the cost of care, as well as severe reductions in the amount of money available to the co-ops from federal loans and for risk adjustment payments, both the result of Republican opposition to supporting the plans. I've already laid out, in exhaustive detail, my rationale for projecting that 14.7 million people will select qualified health plans (QHPs) via the various ACA exchanges during the 2016 Open Enrollment Period (11/1/15 - 1/31/16...possibly with another week tacked on in an "overtime" period). As always, I could very well be dead wrong about this. For all I know, the HHS Dept's far more conservative target range (11.0 - 14.1 million) could prove to be correct, or it could surprise the hell out of everyone and come in closer to the Congressional Budget Office's estimate of 20 million (although that number actually reflects their projection of the average number of people enrolled year-wide, which would require more like 25 million to select a plan by the end of January. The BHP will offer qualified individuals and families a choice of plans from high-quality, private health insurers through NY State of Heath (NYSOH), the state’s official health plan Marketplace. New York State health insurers were invited to offer plans through the BHP when the NYSOH plan invitation was issued today to New York State licensed health insurance companies. The invitation includes requirements for insurer certification and recertification for Qualified Health Plans and Stand-Alone Dental Plans, and for the new Basic Health Program which will start on January 1, 2016. When I compared my 2016 Open Enrollment projection (14.7M) against the HHS Department (11.0 - 14.1M), I was operating under the assumption that the Congressional Budget Office was still projecting a whopping 21 million average exchange QHP enrollees per month for 2016 (which would actually require, in practice, more like 25 million people to actually select plans during open enrollment). HOWEVER, it turns out that the CBO has revised their projections since then after all...you just have to look carefully for it. I wonder if NewsBusters still thinks I'm a left-wing shill for the HHS Dept.? Hey, remember this from March 20, 2014? The Obama administration on Monday announced that 5 million people had signed up for Obamacare exchange plans. Hours earlier, a self-employed Web developer from Michigan had already predicted the milestone would be hit on Monday. Read more about I wonder if NewsBusters still thinks I'm a left-wing shill for the HHS Dept.? Read more about UPDATE: ACASignups.net vs. HHS.gov: Let's Get Ready to Rummmmbllllle!!! Lake Oswego, Ore. (Oct. 16, 2015) –Health Republic Insurance, a non-profit health insurance carrier, announced today that it will not offer small group or individual plans on or off exchange in 2016. All current Health Republic individual and small group policies remain in full effect through the end of 2015. Members can continue to see plan providers and claims will be paid under plan terms. The federal government recently announced it would pay insurance companies only 12.6% of their risk corridor receivable for the 2014 plan year and has created industry-wide concern about when, or if the 2015 risk corridor would be paid. Read more about Short Cuts: Lightning Round! 70 (yes, 70) healthcare stories you might have missed. NOW LIVE: My Official 2016 Open Enrollment Exchange Projection! This year, through special arrangements with them, I've posted my 2016 exchange QHP selection projection exclusively at a different website...healthinsurance.org, where I've been writing occasional freelance pieces. Read more about NOW LIVE: My Official 2016 Open Enrollment Exchange Projection! With things ramping up for the 2016 Open Enrollment Period (#OE3), there's not much point in my continuing to track 2015 QHP selections. The June CMS report confirmed that off-season enrollments have been tracking pretty closely to my estimates (slightly higher, actually, although the number later dropped from their plans due to legal residency issues also turned out to be much higher than I had expected). In general, however, it's been averaging roughly 8,000 - 9,000 new QHP selections per day during the off-season, and will likely continue at about that rate for another few weeks (hitting roughly 13.9 million by the end of October) before tapering off as the 2016 enrollment season kicks into gear. I'm pretty certain that it'll close out the year with around 14 million QHP selections even, of which around 12.6 million will actually be paid for and around 9.7 million will still be enrolled as of the end of December. Read more about UPDATE: Tennessee: County blames Obamacare for budget woes, school closures, spoiled milk, gout. Tennessee: Another CO-OP bites the dust. By contrast, the damage from the Risk Corridor program being crippled is specific, quantifiable and obvious: Company X lost $22 million in 2014; they were supposed to receive $20 million (or whatever) back in risk corridor reimbursements; the CMS dept. only has $2.5 million to pay them back with, period, so they have to eat the remaining $17.5 million loss until next year or the year after...if they're able to stick it out that long. The Kentucky Health CO-OP couldn't stick it out that long...and it's possible that similar press releases may be forthcoming for a few other CO-OPs (and/or other smaller insurers) over the next week or so. Read more about Tennessee: Another CO-OP bites the dust. Republican lawmakers in Utah voted in a closed-door meeting on Tuesday to shelve a plan to provide health care for about 95,000 of the state’s poor. After months of negotiations earlier this year, the Health Reform Task Force unveiled a scaled down of the Healthy Utah plan for Medicaid expansion called Utah Access Plus. Under the new plan, the federal government would pick up about $450 million. An additional $50 million would be funded by taxes on doctors, hospitals, pharmaceutical companies and other medical providers. On Tuesday, the Republican caucus gathered behind closed doors to determine whether it would allow the new proposal to move forward. According to KUER, lawmakers decided to kill the plan, leaving the future of Medicaid expansion uncertain in Utah. Strike That: Apparently the Republicans immediately followed up crushing the spirits of 95,000 of their fellow Utahns by...eating birthday cake. After the first Republican debate, I wrote a piece over at healthinsurance.org which noted that the Big Obamacare Story® to come out of it...is that there was no Obamacare Story at all. The same held true for the second GOP debate a few weeks later. Surely, however, the first Democratic debate would be heavy on the Ocare, right? President Barack Obama's landmark health care reform law -- one of the most contentious political issues of the past six years -- received all but no attention during the Democratic debate Tuesday tonight. But considering that all five Democrats on the stage were supporters of the Affordable Care Act, perhaps it's not surprising that CNN opted to raise issues more likely to provoke confrontation. Today is ACASignups.net's 2nd Anniversary!! Lots of big ACA-related news today, I realize. The big Kaiser Family Foundation report on the uninsured. Jeb! Bush's (likely B.S.) "Obamacare Replacement Plan". The first Democratic Primary Presidential Debate coming up this evening. Unfortunately, I don't have time to write about most of that today, as I'm concentrating exclusively on a Special Project: My Official 2016 Open Enrollment Projection piece...which isn't quite ready yet. It's fitting that I'm working on that story today, however...because today happens to also be the 2nd anniversary of this website! Read more about Today is ACASignups.net's 2nd Anniversary!! Colorado's official QHP selection total as of 2/21/15 was 140,327, and as of the end of April, it was up to 146,506...of which 129,055 were actually effectuated as of 4/30. While their reports have always been comprehensive, they were also a bit confusing. Thankfully, starting with their June report, they've made the appropriate data points a bit more obvious. While the QHP selection total is still confusing, the effectuated number (which is really more relevant at this point) is the combination of APTC/CSR + non-APTC/CSR enrollees, or 74,583 + 59,617 = 134,200 people as of the end of June. Ever since I laid into Congressional Republicans on Friday for deliberately sabotaging the funding program for the ACA's CO-OP Risk Corridor program last December, several people have correctly pointed out that, while having federal funds cut for this program cut off was certainly a major factor in at least one of the CO-OPs going under (the Kentucky Health CO-OP), there was a different policy change--made nearly 2 years ago--which may also contributed to their financial woes (and which may have played a role in some of the other 4 CO-OPs which fell apart prior to the risk corridor debacle hitting home a week or so ago). This may seem like common knowledge now, but in 2014, it felt like I was one of the only people who recognized that there were millions of people enrolling in ACA-compliant policies off of the ACA exchanges, directly via the insurance carriers themselves. My best estimate for 2014 was that in addition to the 7 million or so exchange-based individual market enrollees, there were another roughly 8 million people who enrolled off-exchange (although several million of those were in non-ACA compliant policies). The nonprofit, consumer-governed health plans were included in the law as an alternative to the so-called public plan option. Modeled on successful health insurance cooperatives such as Group Health Cooperative in Washington, the CO-OPs were designed to broaden the coverage options available to consumers, inject competition into highly concentrated health insurance markets and provide more affordable, consumer-focused alternatives to traditional insurance companies. Read more about SUPPORT YOUR LOCAL CO-OP. Thanks to Zachary Tracer for the heads up. The other day I wrote a general overview of the ACA "Risk Corridor" debacle. The short version is that there were 3 funding programs put in place under the Affordable Care Act designed specifically to help smooth the waters and keep insurance carriers afloat for the first few years until they got past the bumpy transition period. One of these was called the "Risk Corridor" program. Basically, the carriers who lose their shirts the first 3 years were supposed to have at least a portion of their losses covered to tide them over; call it "training wheels" for the insurance industry. The funding was supposed to come partially from the other insurance companies which did better than expected...but any shortfall was supposed to be covered by the federal government, with the caveat that any surplus paid to the government stayed there as a type of profit. As of Aug. 13th, 606,226 Marylanders have enrolled in quality, affordable health coverage for 2015 through Maryland’s state-based insurance marketplace. That includes 123,673 people enrolled in private Qualified Health Plans (QHP) and 482,553 people enrolled in Medicaid through the marketplace since open enrollment for the year began on Nov. 15, 2014. Nearly 94 percent of all Marylanders who have enrolled through Maryland Health Connection for coverage this year received financial assistance. A couple of days ago I noted that Covered California is adding a very good feature this year: They're opening up 2016 enrollment nearly 3 weeks early...for those who are already currently enrolled. Starting this monday, Oct. 12, current enrollees will be able to renew or switch to a different CoveredCA plan, 19 days ahead of he official Nov. 1st Open Enrollment launch. 1. How do I enroll in kynect? Simply visit kynect.ky.gov or talk to your insurance agent. If your insurance plan is up for renewal, you may be eligible to enroll through kynect today. You can also call Customer Service at 1-855-4kynect (459-6328). Those who follow me on Twitter know that I almost always include 3 hashtags with every Tweet: #ACASignups, #ACA and #Obamacare. During the 2016 Open Enrollment Period, I'll be changing the #Obamacare tag to simply #OE3, not out of any disrespect towards the President but simply because of the character limit. Twitter followers also know that my personal feed (@charles_gaba) also includes all sorts of non-ACA-related stuff. If you want to keep up with my ACA-specific stuff but don't care for my unrelated political rantings, just follow the official @ACASignups Twitter account instead! Finally, don't forget you can also follow updates on Facebook! I planned on posting about this earlier today, but had to deal with a crisis for one of my Day Job clients (yes, I still have one believe it or not). Early this afternoon, Covered California, the largest state-based ACA exchange in the country, held a conference call accompanied with a lengthy press release and a very nice slideshow full of pie charts and data points, giving a comprehensive overview of where things stand in the Golden State. I've said before that there are a few areas of the ACA which I simply don't consider myself knowledgable enough about to try and explain to others in depth. One of these is the so-called "Cadillac Tax" on high-end employer sponsored insurance policies. The other (well 3 others, really) are the "3R" programs which were set up to try and smooth out the transition period for insurance carriers for the first few years. The "3 R's" are "Risk Adjustment", "Reinsurrance" and "Risk Corridors". Risk adjustment is a process that deters insurance plans from trying to attract healthy enrollees (“cherry picking”), and protects companies that may—by chance or because of their particular benefits—attract sicker than average customers (“adverse risk selection”). Though the Affordable Care Act bans carriers from turning people down or charging them more based on their health, the incentive to attract healthier enrollees remains because healthier customers increase profits by reducing companies’ payouts. The federal government ran a budget deficit of $435 billion fiscal year 2015, the Congressional Budget Office estimates—$48 billion less than the shortfall recorded in fiscal year 2014, and the smallest deficit recorded since 2007. Relative to the size of the economy, that deficit—at an estimated 2.4 percent of gross domestic product (GDP)—was slightly below the average experienced over the past 50 years, and 2015 was the sixth consecutive year in which the deficit declined as a percentage of GDP since peaking at 9.8 percent in 2009. By CBO’s estimate, revenues were about 8 percent higher and outlays were about 5 percent higher in 2015 than they were in the previous fiscal year. CBO’s deficit estimate is based on data from the Daily Treasury Statements; the Treasury Department will report the actual deficit for fiscal year 2015 later this month. Evidence continues to mount that the Affordable Care Act is just not a liability for Democrats anymore. Nationally we find that 42% of voters support it to 40% who are opposed. Those numbers are in line with what we've found in most swing states where we've polled on it over the course of this year. It's a far cry from when we used to consistently find voters opposed to it by a 10-15 point margin nationally and in key states. One big reason for the change is that Democrats (73%) are more unified in their support of it than Republicans (70%) are in their opposition to it. There isn't the sort of pro GOP intensity gap on the issue that there used to be. EXCELLENT: HC.gov window shopping to include In Network & Total Cost tools! Consumers shopping on the government's health insurance website should find it easier this year to get basic questions answered about their doctors, medications and costs, according to an internal government document. A slide presentation dated Sept. 29 says HealthCare.gov's window-shopping feature is getting a major upgrade. ...Previously, it could take considerable digging to find out plan details. Now consumers would be able to enter their doctors, hospitals and medications as they browse online. When they go to compare plans, they would see whether those doctors, hospitals and drugs are covered. Read more about EXCELLENT: HC.gov window shopping to include In Network & Total Cost tools! A few days ago I noted that the Maryland Health Connection has officially launched window shopping for the 2016 open enrollment period (#OE3). Nevada: Anthem Blue Cross *adding* a PPO to the ACA exchange! About a month ago, I crunched Nevada's individual and small group rate hike numbers and concluded that the overall weighted average hike in the Silver State next year (assuming everyone stays put and doesn't shop around) will be roughly 9.6% on the individual market and just 5.3% for small businesses. Today, the Nevada Appeal ran a story claiming the ACA exchange-only average individual rate hike will be around 8.7%. 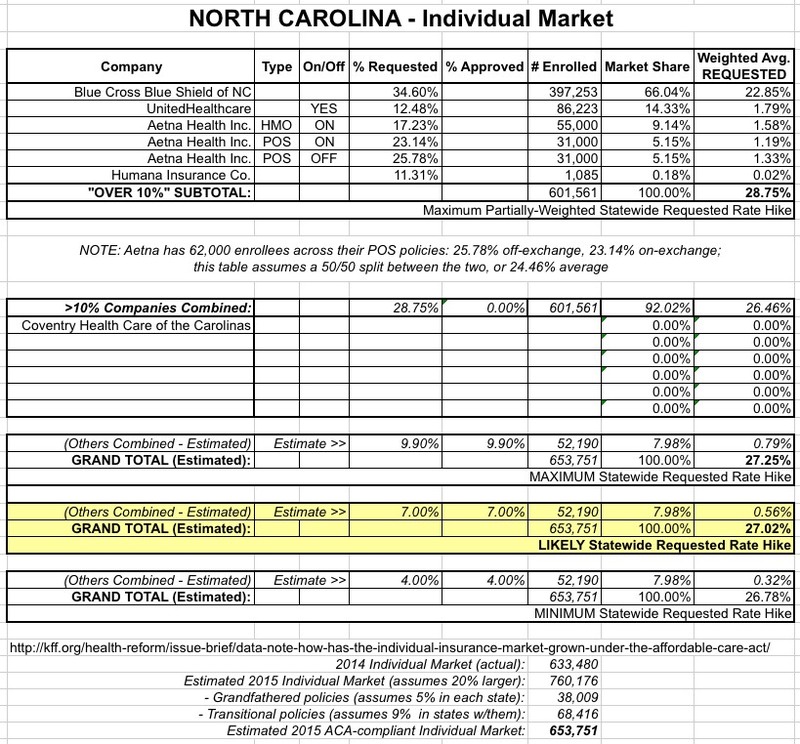 Now, it's not the lower rate which caught my eye; the 8.7% figure only includes exchange-based carriers, of which there's only three this year, versus the dozen or so who operate throughout the state (there are 9 more insurance carriers who are only operating off of the exchange). Read more about Nevada: Anthem Blue Cross *adding* a PPO to the ACA exchange! I realize this is mostly off-topic (although certainly gun violence overlaps with healthcare, both in terms of emergency room expenses as well as mental health services), but I couldn't resist posting about it. CodeBaby, a provider of Intelligent virtual assistant technology, today announced Connect for Health Colorado® and Access Health CT have expanded the use of CodeBaby as a way to increase consumer education and improve the online experience for customers purchasing health insurance during the 2016 open enrollment period. Connect for Health’s virtual assistant, Kyla, can be found at key points in the website, presenting important information in a clear manner, assisting users in making informed decisions, and providing decision support for critical choices. In time for this year’s open enrollment, Connect for Health has expanded Kyla to the Subsidy Eligibility System so that the avatar can answer questions, help people determine if they are eligible for subsidies, and walk them through the enrollment process. Vermont: Will Charlie Brown finally kick the football this year? MONTPELIER – Gov. Peter Shumlin, representatives from Vermont’s insurance carriers, and officials and staff from Vermont Health Connect (VHC) gathered today to update on the health insurance marketplace’s progress. The Governor announced that the technology upgrade necessary for a smooth open enrollment has been delivered and tested and will be deployed starting this evening; the backlog of change of circumstance cases has been cleared; VHC is now operating at a vastly improved customer service level for change requests; and customers will be able to report many changes online starting Monday. Meeting those milestones is consistent with the schedule laid out by the Governor in March 2015 and in legislation passed later in the spring. Read more about Vermont: Will Charlie Brown finally kick the football this year? NOTE: I originally posted this at 3:00pm October 1st. Shortly after that, I heard the news about the Oregon massacre. I seriously debated changing the headline, but decided that it was completely appropriate under the circumstances. If you disagree...well, we just have to disagree. MARYLAND: 2016 Window Shopping Now Live! With the 2016 Open Enrollment Period quickly approaching (it launches on November 1st), the Maryland Health Connection has already officially launched 2016 Window Shopping! Read more about MARYLAND: 2016 Window Shopping Now Live!